Congrats! This project has reached its minimum needed of £16,900 and is going for its target of £26,000! 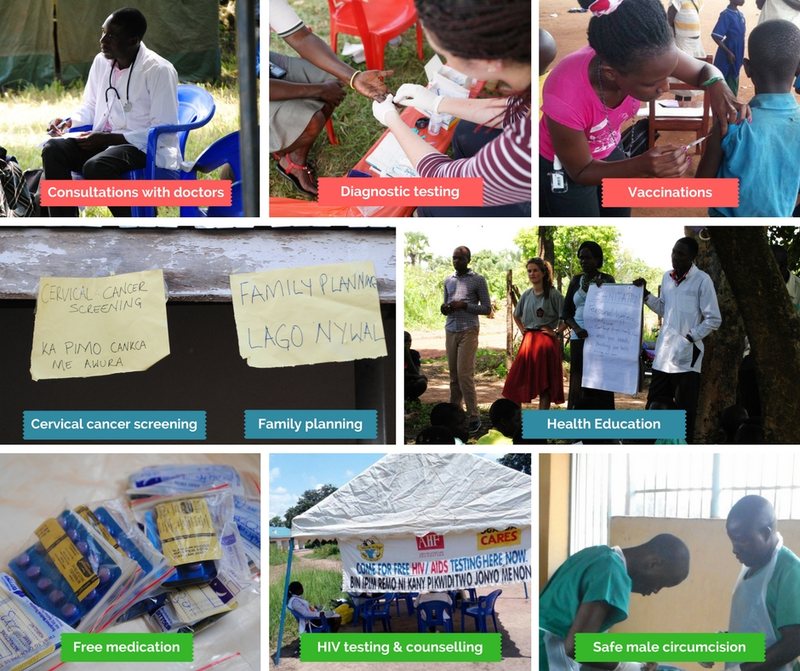 A student-led project supporting local staff to deliver basic healthcare in Uganda! We're raising £26,000.00 to take 13 Manchester medical students to Northern Uganda for a unique learning experience which will help to bring basic healthcare services to thousands of people. We are Team Gulu 2019, a group of highly motivated medical students from The University of Manchester. We are the UK team of the Northern Uganda Village Health Outreach Project (NUV-HOP). NUV-HOP was started by medical students from Gulu and has grown into a student-led, village based health project that delivers free healthcare services to impoverished rural communities in Northern Uganda. It is organised by students from Manchester, Uganda and Belgium, alongside medical staff and partner organisations in Gulu. We participate in rural health outreaches, deliver health education talks, shadow medical professionals in Gulu Regional Referral Hospital and much more! We are not part of a commercial enterprise, nor are we volunteers for an organisation. NUV-HOP is a student-led, student financed and participatory learning project, which empowers students to organise, collaborate and critically assess what they are doing, how it impacts the communities in which they work and what they can do to help. We work with local Ugandan healthcare staff, the Gulu Medical School, Manchester Global Health Society, Belgian medical student organisations, local partner organisations, charities and our respective universities. Our aim is to deliver a safe, structured and engaging project with the maximum amount of time spent doing what we're there to do! Each student on the project has a say in how it’s run and what could be improved, whilst Team Leads from all three countries meet regularly to discuss the direction of the project. Daniel Richards and Lucrezia Brunetti are the Team Leads for 2019. Team Members this year are: Anum Salam, Neha Kasaravalli, Hetty Breed, Marie Chaveriat, Leena Patel, Aniela Jose, Sadaf Iqbal, Tashi Carmichael, Laura Downes, Muskan Shrivastava and Emilia Smith. During the 1990s and the 2000s, Joseph Kony's 'Lord's Resistance Army' (LRA) fought a guerrilla war in Northern Uganda against government forces. They killed, abducted and raped men, women and children and were infamous for their brutality and use of child soldiers. Joseph Kony went into hiding in Sudan in 2005 and attempts to find and arrest him have been unsuccessful. After years of civil war, Northern Ugandans returned home and started to rebuild their lives and communities. Gulu is a thriving town in the centre of Uganda but the effects of the conflict are still felt by many there. Rural communities in the district struggle against high levels of poverty, inadequate water sanitation and significant burden from diseases such as Malaria, HIV/AIDs and disabilities caused by the years of war. The Ugandan medical service provides free healthcare to the population, but is often overstretched and under resourced with many people struggling to access more than very basic services. Despite the efforts of committed healthcare professionals, many people are still unable to access adequate healthcare due to the cost of travel and the lack of resources in health centres. There has been further pressure on the system in recent years as the country has welcomed refugees fleeing conflict in South Sudan. The project was first started by our Ugandan counterparts, with Belgian medical students participating in the earlier years and Manchester medical students joining for the first time in 2016. 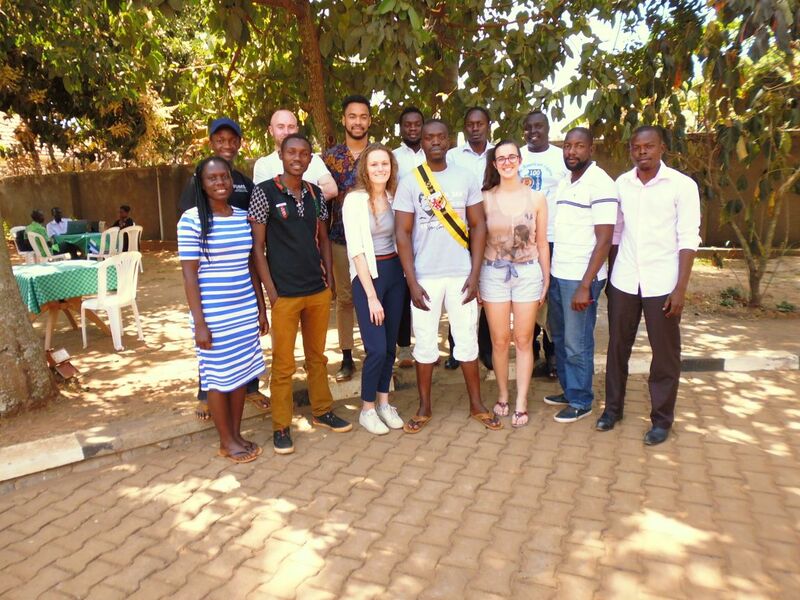 This summer, University of Manchester medical students will be travelling to Uganda for one month to participate in a number of 'health outreaches' in rural areas close to the town of Gulu. Much needed testing for common diseases such as Hepatitis B and Malaria are performed and local people have the chance to see a doctor or healthcare worker thanks to Ugandan 'partner organisations' who work with us. 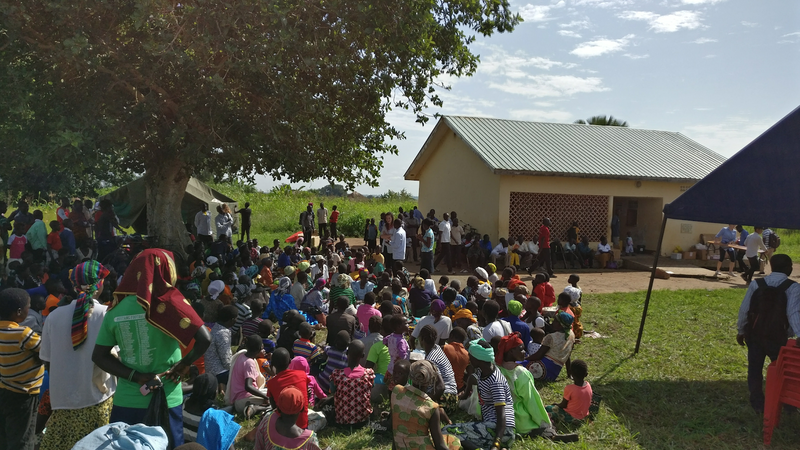 Hundreds of people attend these outreaches and they have the opportunity to access family planning services, HIV testing and counselling, and safe, voluntary male circumcision. Project doctors also prescribe basic medications, allowing people to access drugs which are often hard to get, or are in short supply. The outreaches are based in local clinics which we work with and support. Team Gulu also works with Ugandan medical students and staff to write and deliver 'health talks’. These provide the opportunity to interact with rural communities, learn about their health needs and offer practical advice based on knowledge of what is available locally. This work is funded entirely by generous donations from supporters like you, which is why we need your help today! The more we raise the more services we can provide; last year we participated in nine outreaches, seeing an average of 500+ patients per day! But why Manchester? Why do we go? In addition to facilitating free medical healthcare services, NUV-HOP also provides incredible learning opportunities for Manchester students. Students shadow, assist and observe staff in Gulu Regional Referral Hospital, gaining valuable clinical experience. They develop an understanding of Northern Uganda’s healthcare system, the different disease sets in the area and the challenges staff face working in difficult clinical environments. Taking part in a student-led project empowers the team to make decisions and organise a project from the bottom up. During our time in Uganda we are also hosted by local families, allowing us to develop relationships with the local people and a more intimate understanding of their culture and lives. Host families are arranged by our Ugandan counterparts and the experience of living with a local family is always one of the highlights for the Manchester students participating in the project! NUV-HOP is a collaboration between Mancunian, Ugandan and Belgian students and encourages international team work and cooperation towards a unified goal. …and by donating now, so can you! Team Gulu relies on sponsors like you to keep us going. Your money will go directly to a grassroots, student-led project that benefits thousands of people. With your support, we can help reach people that would otherwise be unable to access these most basic of healthcare services. (Above) The 2018 Team Leads from Manchester, Uganda and Belgium, meeting in Gulu in February to discuss the project ahead! In total, we need to raise £26,000.00. This will fund 13 students from The University of Manchester to travel to Uganda, and stay with, host-families in Gulu, as well as the in-country running costs of the planned outreach clinics. This sounds like a huge amount of money, but as well as our flights, internal travel, visas and accommodation it will also cover the supplies, logistics and personnel needed to deliver the clinics with local partners. Even the basics such as tents, tables, chairs, medications and transportation are required to support this basic level of medical outreach to remote rural areas. Contribution to the cost of outreaches (£800) – this includes transportation costs, hire costs (for tents, chairs, tables, etc.) and medical costs (such as medications, tests, medical equipment, etc.). Visas, transport and accommodation with host-families (£175) – this includes costs of living (we stay with local host-families so this goes directly to them) and our first and last nights in Uganda when we stay in hostels. Insurance, medical indemnity insurance and team equipment such as first aid kits (£275). Contribution to unforeseen costs (£50) - as with any project, there are always unforeseen costs which we plan for with this small contingency fund (unforeseen costs might include team trips to see a doctor, emergency accommodation, unforeseen transport costs, etc.). Flights (£700) – this includes flights to and from Uganda. Our minimum target is £16,900.00. This would allow the project to go ahead and our medical outreaches to function. Our full target of £26,000.00 includes the full cost of our flights to and from Uganda. Fundraising for these costs is crucial to enabling this amazing learning opportunity to be open to any University of Manchester medical student, regardless of their socio-economic background. We believe that this project should be accessible to all, not just those who can afford to pay for expensive flights. Any money raised over and above our full target will either be used for extra equipment or staff in-country this year, or will be put towards Team Gulu 2020 (which many of our current team will hopefully be returning for). We will keep all of our supporters updated on our progress throughout the year. Please see the updates tab here on our crowdfunding page, follow us on social media (see below) or email us with questions at gulumcr@gmail.com. As an added thank you we have offered some small rewards for donating to the project. Please find these to the right of the screen! Follow us on Facebook @ https://www.facebook.com/TeamGulu2019/ for updates. Please sponsor us now to help us achieve our goal. Team Gulu 2018 saw thousands of patients and provided an incredible learning experience for the Manchester students involved. Any amount, however small, will help us deliver the project again this year. Please sponsor us now and help make Team Gulu 2019 happen. You can support us even further by sharing our project with your friends! Please share this project with anyone you think would support us – on Twitter, Facebook, LinkedIn, by email, telephone, in a chat over the fence or on your blog. In fact, share it with everyone you know as we think it's a great idea, and the more people who know about it, the more likely we are to make this work out brilliantly. If you donate £25 or more, you will be mentioned on our Facebook page as a supporter as well as getting a mention in our 'supporters list.' This will be published in our 2019 report which will be made public on social media and future fundraising campaigns! Find us on Facebook to see the updates! If you donate £50 or more, you will be mentioned on our Facebook page as a supporter and be mentioned in our 'supporters list' in our 2019 report; we will send the report to you by email with a personal thank you from the team. Find us on Facebook to see the updates! Donors who give £100 or more will get an individual mention on our Facebook page. Your name will also appear on the front page of our report as a 'large donor' to the project! You will also receive a personal email from the team thanking you for your generous contribution, with a copy of the report attached and a few photos from the project. Find us on Facebook to see the updates! Our largest donors will receive and individual thank you on our Facebook page and a mention on the front page of our report as a large donor. As well as this, we will buy you a small stuffed Ugandan animal, handmade in Gulu, which we will post to you. Your parcel will also contain a printed copy of the 2019 report and a photo in the from our trip, signed by the team!